I've a bright and cheery card over on the SRM Stickers blog today! 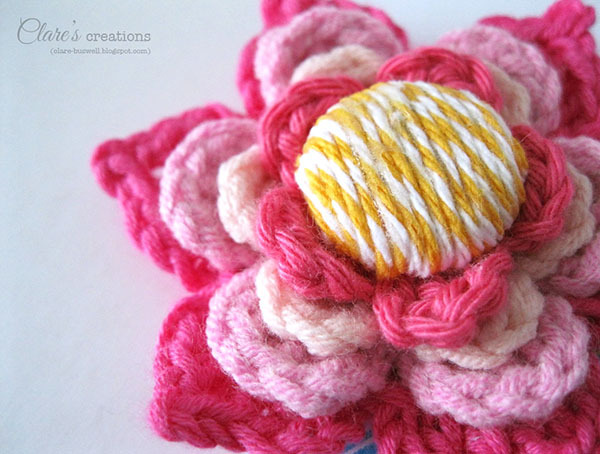 The assignment was to get creative with twine, so I altered a fabric covered button by covering it with some Marigold Twine (adhered with fabric glue) and used it as a centerpiece for a crocheted flower (not made by me!). The background I stamped using Off Beat Backgrounds from Waltzingmouse Stamps in a lovely shade of blue (Memento Bahama Blue)! 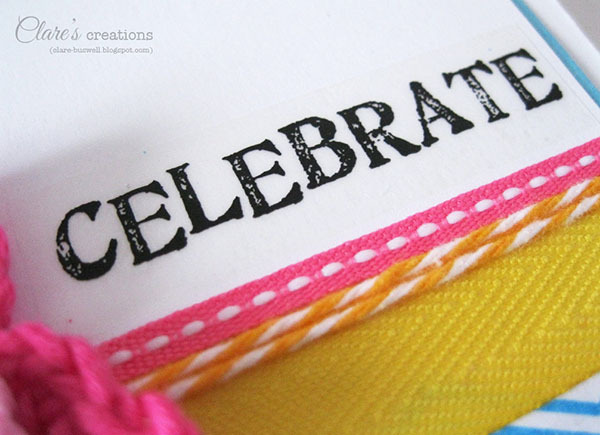 The sentiment sticker is from Sticker Sentiments - Birthday. Labels: baker's twine, Craft Fairy, crochet flower, SRM Stickers, Waltzingmouse Stamps. 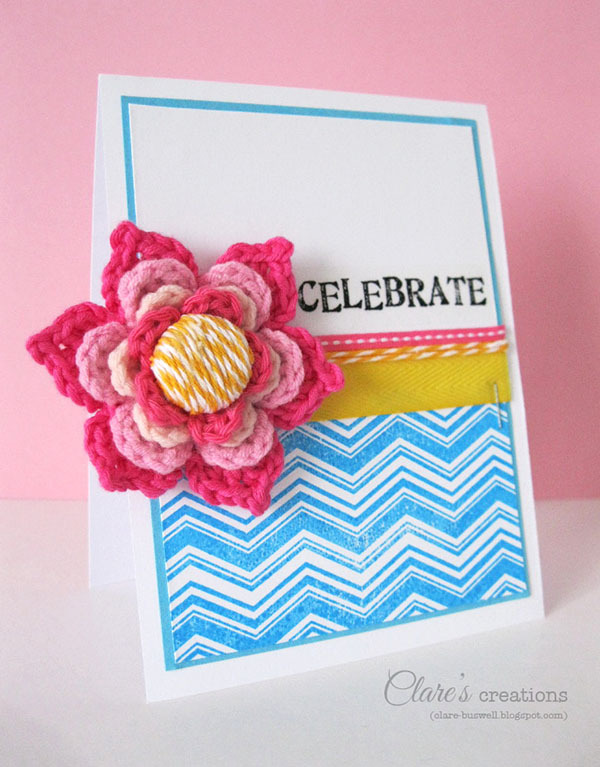 This card is fabulous, love the colours and great idea with the twine! Thank you so much for stopping by my blog, I appreciate the time it takes and your comment really made my day!!! Thanks and I hope you enjoyed the hop. LOVE that crocheted flower...it's fab!! The beneficial part in the communication interaction is designed by the beautiful cling stickers and cards in these days. Everyone wants to distinguish in order to be observed right away.